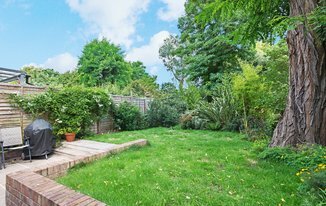 A NEWLY REFURBISHED and spacious two bedroom FURNISHED flat in EXCELLENT CONDITION, CENTRALLY LOCATED with large PRIVATE GARDEN. This property comprises of two double bedrooms with fitted wardrobes, a spacious bathroom, a large open plan modern fitted eat in kitchen with living area leading out on to the patio and private garden. 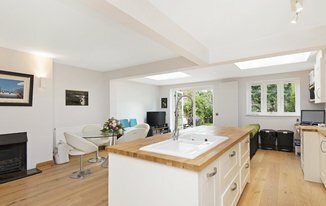 Sibella Road is situated on a pretty tree-lined street in the heart of Clapham with ample resident parking and within easy reach of the wide range of amenities, wealth of shops and restaurants. Clapham High Street (Overground) and Clapham North (Northern Line) are the closest stations offering great access into and out of London.